The Chamber has strong relationships with many local non-profit organizations that provide services for businesses. Please consider contacting any of the following for more information about how they can help you succeed. Owning a business can be a rewarding experience achieving a life goal of independence and controlling your own future. Yet, there are many challenges to managing all the tasks that demand your attention. Those business owners that succeed tend to seek consultation with trusted advisors. Sometimes just to talk out a problem with someone outside of the business or family, other times to get help understanding the options or discovering new ideas. The SBDC provides confidential discussions and resources to help you to make a better informed business decisions. 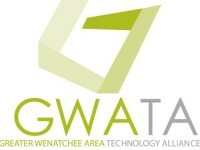 The NCW Technology Alliance is a regional organization founded in 2000 to promote a vibrant technology-based economy benefiting the citizens and communities of the NCW Area. 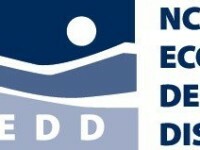 NCW EDD promotes economic growth in the greater region. Often, the Chamber will join efforts with the EDD to promote an educational event such as the Chamber’s Economic Outlook program or the Business Summit. An economic Development Lender that promotes new businesses, supports currently established businesses, and helps create jobs. Quest usually becomes involved when a potential borrower is rejected by an SBA Ban or are asked to participate in a loan with an SBA Bank. Quest works with SCORE and the SBDC in helping new businesses start and maintaining current business health. The mission for the Wenatchee Valley College Center for Entrepreneurship is to create and enterprising business climate and poved the necessary support mechanisms to cultivate and grow successful small business in North Central Washington. Together with regional economics partners, the Center for Entrepreneurship seeks to grow and support entrepreneurialism through innovative educational options, support service referrals, and entrepreneurial outreach. 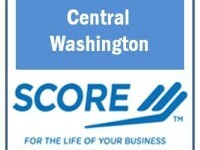 SCORE is the Service Corp of Retired Executives—counselors to America’s Small Business. SCORE focuses on the pre and post start-up phase and on existing businesses where local expertise is matched to each business’ needs.